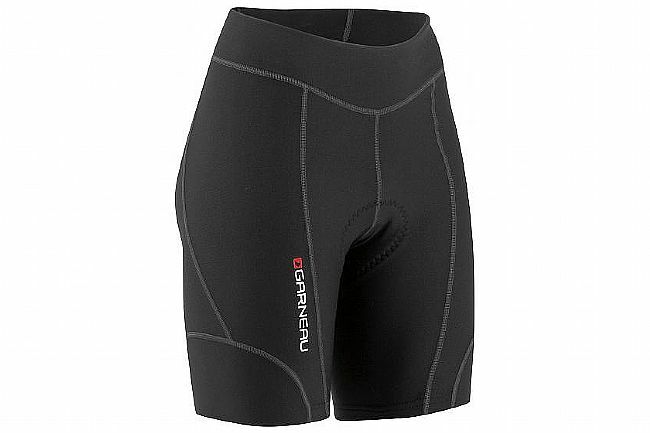 The Louis Garneau Women's Fit Sensor 7.5 Short is a versatile cycling short, capable of on or offroad adventures. With an abrasion-resistant construction and seamless inner panels, the Fit Sensor's Airzone chamois also helps to reduce chafing and provide superior comfort during long rides. Abrasion resistant Polartec Fit Sensor fabric features a double-face constuction. 7.5" inseam with Powerband cuffs for chafe-free fit. HugFit waistbband is figure flattering and comfortable. AirZone chamois for breathable, supportive comfort for all day rides.